SISTERS, OR -- Several Sisters businesses lost power, Friday evening, after a boom truck pulled down utility lines and a power pole. 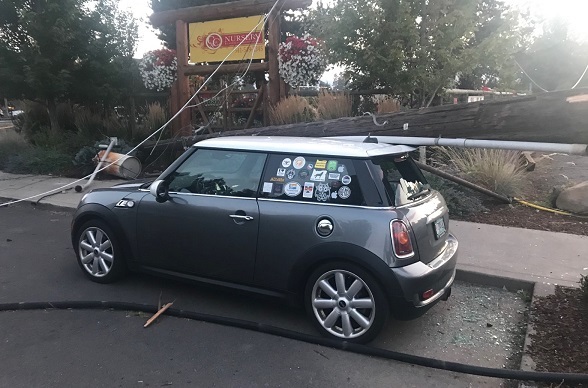 According to the Sheriff’s Office, the Oregon Truss Company truck made a delivery on North Pine Street, but the driver failed to lower the boom crane before leaving the job site. 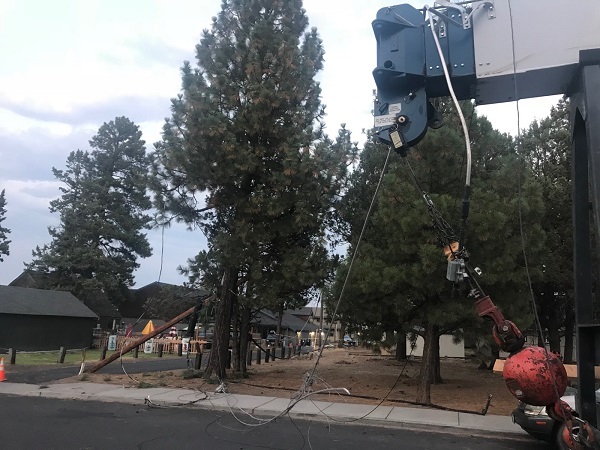 That boom caught a small wire near Pine and Main and then a full set of power and cable wires near Highway 20. That pulled a power pole on to a parked car and sent wires into the street. No one was injured but a section of South Pine was closed while crews repaired the damage. Investigators say the driver was not impaired and no citations were issued.